Violence against children is one of the biggest problems affecting families and societies. It happens all around the world, in all countries and societies; all too often it happens in the family. Read on to learn more about the problem of violence against children and effective approaches to ending it. 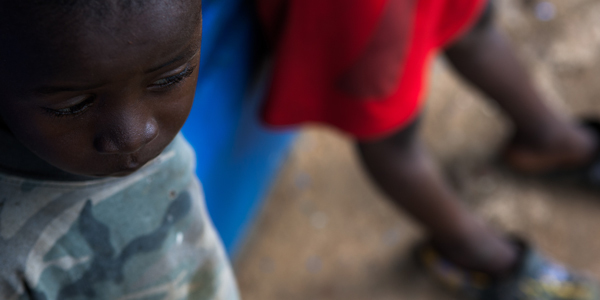 International law clearly establishes every child’s right to protection against violence. 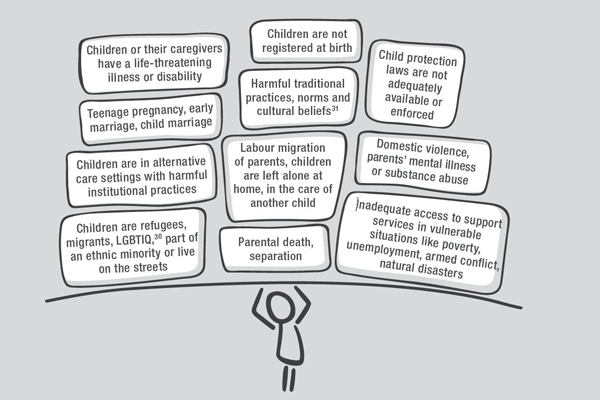 That right is underpinned by the UN Convention on the Rights of the Child, the Guidlines for the Alternative Care of Children and the Sustainable Development Goals. Violence against children has many faces and forms: physical abuse, sexual abuse, neglect or negligent treatment, emotional abuse, and more. At least one in six children entering an SOS Children’s Villages’ programme has previously experienced violence. Our experience and research show that children who are inadequately protected and cared for are at a higher risk of experiencing violence. Violence can affect a child for the rest of their life, with severe consequences for a child’s physical, psychological and mental health. Without adequate support and care, violence and trauma can have long-term effects on a child’s development and future life. Children who have experienced violence are also more likely to perpetuate the circle of violence, passing on patterns of violence to their peers or to future generations. Therefore, ending violence against children is not only important for each child’s rights, but also for healthy communities and societies. Putting an end to all forms of violence – in families, at school, in communities, and in fragile states torn by conflict – is of crucial importance for children’s rights and well-being, and for a sustainable future. SOS Children's Villages has also joined UNICEF and other key partners to establish the Global Partnership to End Violence Against Children, an advocacy initiative bringing together stakeholders from different areas to work together to end violence against children.